For starters, you can try advertising your business via Google Ads. There are two ways of pricing in Google Ads: cost-per-click (CPC) and cost-per-impression (CPM). CPC pricing means you pay for each click on your ad. CPM pricing means you pay for how often your ads are shown. Listing your business in Google Places is a good way to increase your website exposure. Moreover it's free. Other than improving search engine rankings, it also allows business owners (you) to post photos, update your business address & working hours, and lets customers give rating to your business. Email newsletter is one of the many ways to maintain relationship with your website customers. With an interesting email newsletter, people will be more likely to click on your link - thus driving traffic into your website. For your email marketing manager program, you may want to take a look at MailChimp. You can use their free plan if your business has fewer than 2,000 email subscribers and sending less than 12,000 emails per month. Being experts in your field, you will have access to insights normally not visible to the public. You can share them with your customers. Insightful articles will increase customer's confidence in you, and people will be more likely to come back for more. Your company's social media page can be used to invite people to visit your website. For example, you can post a short update on your corporate facebook page while showing a link to the full content on your website. Forum marketing is an excellent way to drive a specific type of audience into your website. For example if your website is selling pet products, you can try advertising your website in pet lovers’ forums. 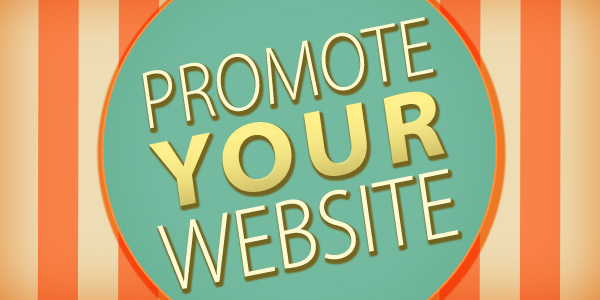 How do you usually promote your website? Feel free to add your own tips in the comments section.